How Do 12 Step Fellowships Define “Addiction” and “Alcoholism”? How Do 12 Step Fellowships Define Addiction and Alcoholism? 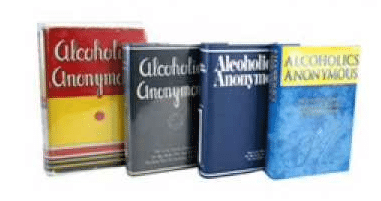 Finally, there is the definition of alcoholism and addiction as defined by 12 Step communities Alcoholics Anonymous (AA) and Narcotics Anonymous (NA). Although the language can change a bit from fellowship to fellowship and although the initial 12 Step fellowship of AA details its birthday all the way back on June 10, 1935, the 12 Step fellowships may actually have the most comprehensive definition of alcoholism and addiction of any organization. In its most generalized understanding, the 12 Step fellowships define addiction and alcoholism as a threefold illness: a physical allergy, a mental obsession and a spiritual malady. So what do these three parts of the illness of alcoholism and addiction mean? Here is a simple breakdown to help understand the definition as defined by AA and NA. The first part of the illness or disease is the physical aspect, what the 12 Step fellowships call an allergy to alcohol and drugs. And what is an allergy? An allergy is a response by the body to a substance to which it has become hypersensitive. It is a medical condition that causes someone to become sick after ingesting something that typically is harmless to most people. So a person with alcoholism or addiction is allergic to alcohol and drugs and the physical response from the body when an addict or alcoholic ingests alcohol or drugs is what the 12 Step fellowships call the physical phenomenon of craving. This bodily reaction is one that makes the person crave more drugs and alcohol. It is the idea that when an addict or alcoholic drinks or gets high, after a certain point, they have little or no control over the amount of drugs and alcohol that they take. They are often literally unable to stop for extended periods of time. In “The Doctor’s Opinion” in the Big Book of Alcoholics Anonymous it says “We believe, and so suggested a few years ago, that the action of alcohol on these chronic alcoholics is a manifestation of an allergy; that the phenomenon of craving is limited to this class and never occurs in the average temperate drinker.” The allergy of alcohol and drugs on an addict or alcoholic means that when drugs or alcohol is used, it sets off the phenomenon of craving and because of the way their bodies process the alcohol and drugs, it sets off cravings for more. It is why addicts and alcoholics can never truly predict how much of a substance they will use. Underlying both the physical allergy and mental obsession as defined by 12 Steps fellowships is the core of addiction and alcoholism: the spiritual malady. Although many people mistake or misunderstand “spirituality” as it relates to 12 Step fellowships, in terms of the spiritual malady of the illness we are talking about connectivity, underlying feelings, emotions, reactions to life and typically issues for addicts and alcoholics that are SOLVED by drugs and alcohol. A malady is considered a disease or ailment, so quite frankly AA and NA explain the underlying issues for addiction and alcoholism as a disease or ailment of the spirit. “Spirit” is often defined as the nonphysical part of a person that is the seat of emotions and character. Sometimes it’s referred to as the soul. So this part of the disease of addiction and alcoholism really can be considered a sickness of the soul. It is often explained as a “feeling of difference”, “feeling apart from the world”, “feeling separated from others”, “not fitting into my own skin” and manifests itself in loneliness, depression, anxiety and fear. The Big Book talks about feeling “restless, irritable and discontent.” So Alcoholics Anonymous and Narcotics Anonymous typically explain the spiritual malady as what an addict and alcoholic feel while sober, before ever using drugs or alcohol. Because of this discomfort of the spirit, drugs and alcohol actually become the solution to that ailment; they AWAKEN the spirit. For addicts and alcoholics, LIFE is the problem and drugs and alcohol are their SOLUTION. However, due to the previous other two parts of the illness (the physical allergy and mental obsession), this solution that the addict and alcoholic finds through drugs and alcohol eventually becomes a problem and a detriment. However, due to the obsession of the mind and the allergy of the body, the addict and alcoholic will be unable to stop even when they want to. Although there are clearly issues that the 12 Steps do not address clinically, there is also something to be said to looking towards to spirituality in recovery as a necessary piece of the puzzle of recovery. This does not necessarily meaning God, a Higher Power, religion or any other traditional aspect of spirituality but instead looking at spirituality as connectivity, relationships, love and purpose.